One of the key things to work out when working offshore is whether or not you are a resident for tax purposes. In general, you are still classed as a resident if you are working overseas temporarily, so you will need to file a tax return and declare all overseas income, even if tax was deducted in the country where you earned your income. If you plan to live and work abroad indefinitely, however, your status changes to non-resident for tax purposes. Non-residents no longer need to lodge a return unless they receive Australian sourced income such as rent. 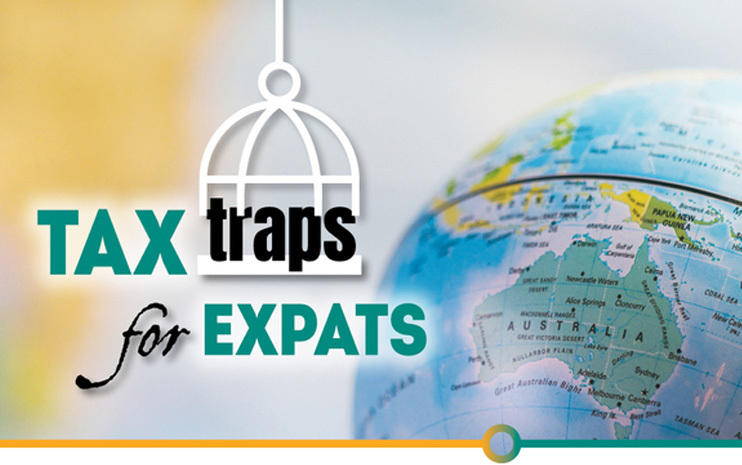 If you rent your Australian home while you work overseas, you can continue to treat it as your main residence for up to six years for capital gains tax (CGT) purposes. Your home can be treated as your main residence for an unlimited period if you don’t rent it. The CGT situation changes, however, if you become a non-resident for tax purposes. When you sell your home as a non-resident you are not eligible for the main residence exemption or the 50 per cent CGT discount. Any assets that are not considered taxable Australian property – like local shares – are deemed to have been disposed of for CGT purposes on the day you became a non-resident. You can choose not to have a deemed disposal apply. However, when you eventually dispose of the asset, the ATO counts the whole period of ownership – including any period when you were not an Australian resident – when calculating a CGT gain or loss. CGT is notoriously complex so be sure to seek advice. It is also important to notify your super fund if you become a non-resident, as some funds will not provide services to non-residents. If your employer transfers you overseas, check that they are permitted to make super contributions into your super fund on your behalf if you become a non-resident. Most super funds will also not accept contributions if your employer is a non-resident for tax purposes. There can also be problems even if you have your own SMSF, as the super rules require SMSF trustees and the majority of ‘active members’ to be residents for tax purposes. To remain a complying ‘Australian super fund’, a SMSF must be established in Australia, have locally-based fund management and control, and have at least 50 per cent of its assets payable to resident active members if they decided to leave the fund. The penalties for being ‘non-complying’ are significant. The fund risks being taxed at 47 per cent on taxable income and 47 per cent on the value of the fund’s investments at the start of the financial year it becomes non-complying, less any non-deductible contributions. To avoid non-complying status, you may need to appoint a personal representative to act as trustee or switch your super account to an Australian Prudential Regulation Authority regulated fund. Tax debts also follow you offshore. From 1 January 2016, if you have moved overseas and owe a Higher Education Loan Program (HELP) debt, you have the same repayment obligations as if you live in Australia. This applies if you already live or intend to move overseas for a total of more than six months in any 12-month period. If you or anyone you know is planning to live overseas for an extended period, we can help manage the tax implications.